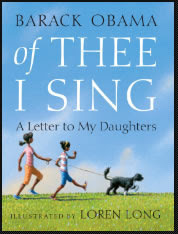 Bought this book for the girls tonight after studying Paul's prayer for the Ephesians and when I told them that an example of what Paul hoped to see happening in the lives of fellow believers you can read in Pilgrim's Progress. Feel like the only person with struggles? Millions of Christians have cherished John Bunyan's tale of the journey Christian and Christina made to the Celestial City. Written in the 1600s, this classic is now available in a modern-day, understandable text. "Hard Truths" bought from the "market"
Like something from the market! 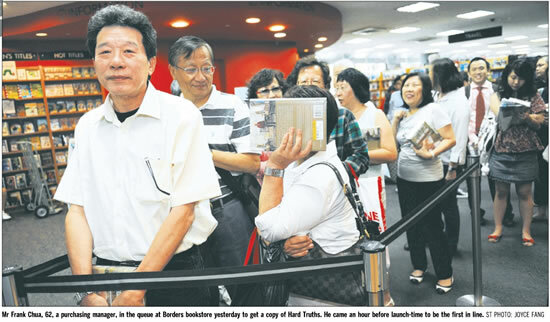 He visited Singapore recently so I read in the papers recently. Now he has a piece in his NYT column on us. He has given us the thumbs up. 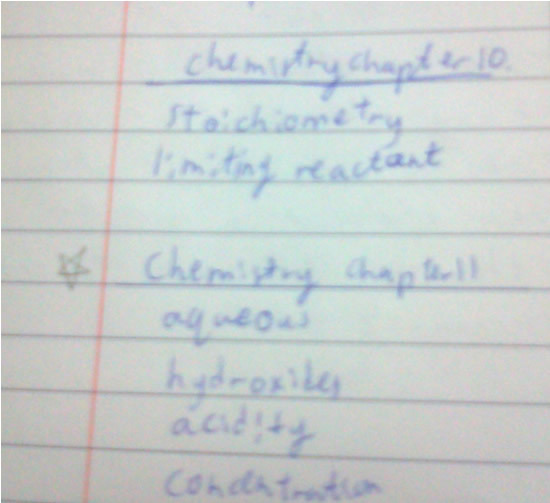 The example of the school CSI style activity, its significance is exaggerated. 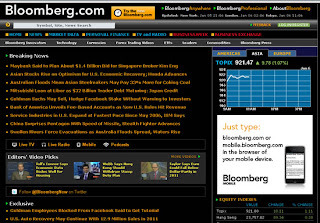 See http://www.nytimes.com/2011/01/30/opinion/30friedman.html?_r=4 for his "Serious in Singapore"
This desktop PC motherboard was changed several months ago. Regrettably the problem seems to be returning. Often the mouse and keyboard would be frozen on start up and I have to hard reboot it. It has the same symptoms as previous to the motherboard replacement. 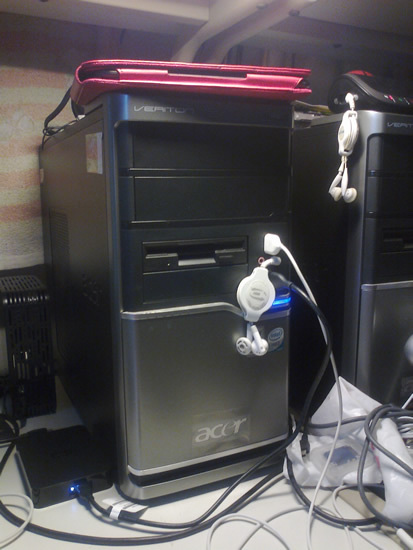 The PC can be switched off but the LED light on the USB hard disc remains on. I have tried disconnecting the ext hard disc before powering up the machine. Doesn't always work. This time I tried something more drastic. I removed the power cord if the LED light stayed on. I didn't know this would gave me hell moments later when I reconnected the power cord and turned it on. The PC fan was howling at top speed. I thought my lousy Dell had reincarnated itself into this Acer. I quickly powered it down. When I powered it up again, the bios date settings was messed up. Google and Adobe security certificates became invalid and in a hurry I missed changing the year and for the next few hours wondering what was wrong. The problem finally went away when I flipped the year from 2009 to 2011. I think this PC is living its last days. Might need another visit from the tech guy. The three year warranty will expire in early May this year. 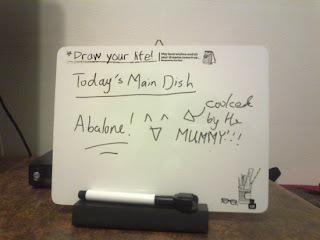 The younger girl is so excited about this evening menu. It is not every day that you get to have abalone for a meal. My brother had given us a can of it and wifey decided to use it for tonight. Of course she ate the lion share of it with no competition from her sister since she didn't like it. An unwelcome discovery so near to CNY. After the weeks of noise from the renovations upstairs this is what had developed. 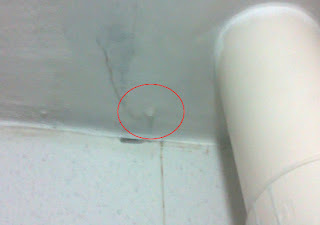 The ceiling is leaking. I went to upstairs to inform the neighbor about it. He kindly showed into his apartment. Sitting above this part of the ceiling is their washing machine. They are going to inform their contractor immediately. These are the contractors that asked to inspect th drain in my master bedroom. I was puzzled that they are unfamiliar with something so common. Since my sis is off to Scotland on Monday, we had an early reunion lunch. This was at NUSS Guild House. Visited the Duman High School hostel yesterday afternoon with my girls. One of their classmates brought us there, a scholar from Hunan. We were helping her buy a Kindle from Sim Lim Square. I took all them back to the hostel to help her set up the new toy. The scum of Sim Lim Square is just so familiar. Even with NETS they wanted to levy a 1% charge. I went prepared and offered to help with cash first. 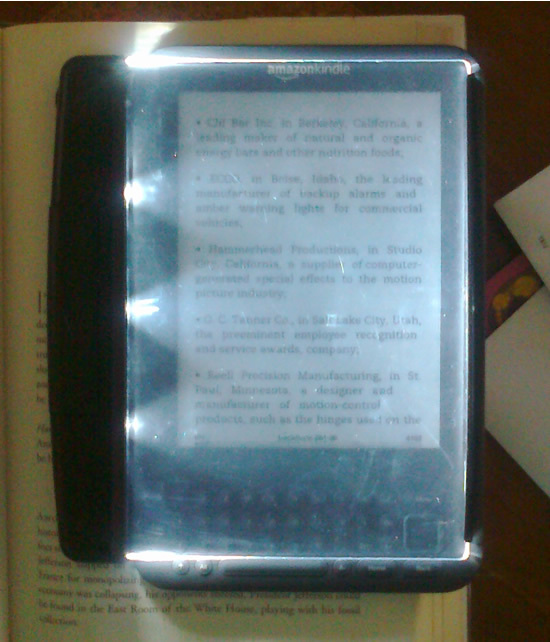 The overpriced Kindle (what to do when you are in a hurry to use it over the CNY) set her back S$259. Just got my account with Photobucket and trying it out here. Do I wish this day never come? They were supposed to move out last year but it was postponed. Can't believe that moment is just around the corner. This is such a convenient outlet. We will miss this place, not to mention the years we have patronized it. 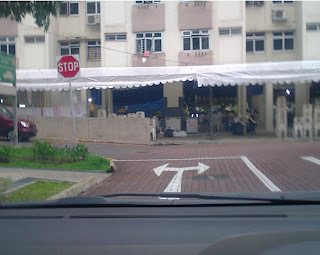 I still remember I often cart two large bottles for Fruit Tree orange juice from here to the bus stop and then to Ghim Moh. We were newly marrieds then and we were at Margaret Drive three times a week for dinner with my in-laws. A couple of years later we got our first car, a Subaru Justy and naturally we became more adventurous. The installed MioTV for us today but it only lasted for a few minutes. They had to disconnect the Aztech DLS 1000ER modem. I can't find my orignal Singtel issued modem. I could have given it away a few years back. Now do I want to cough up $68 for the modem or return the set top box to them. I have one month to think this over after which I will have to pay $9.90/month for a minimum of 12 months. The thought of researching and understanding this IP-TV over twisted copper wires, unpredictable stability, is 6 mbps pushing it? I am not sure I want to make the effort. Brands can no longer be trusted. The hidden cost hasn't surface yet. Not going to be pretty. The tech before the MioTV chap visited first. He wanted to help me with cabling but my DSL point is in the study and the TVs are in the living and bedrooms. It is not practical to lay the ethernet cable. He suggested he gave me some free cable and made a really long one for me on the spot. It was useful when the MioTV guy came shortly after. Without this I would have to cart one of the TV into the study for the test. Met an old friend and his new wife at Changi Terminal One this afternoon. I haven't seen him in a few years and we just launched into chatting, but not without me shaking his wife's hands first. On my way back from the airport it suddenly dawned on me that I have forgotten to get a picture of them! They are off to Cambodia on the Lord's work. I wonder if they based themselves out of Semarang or Brisbane. Good thing their Aussie house was not threatened by the floods. It was on very high ground. I asked if they had planned it this way. Not at all! Good for them and his kids too. None of them were affected by the massive flooding. Just saw this on YouTube. It is a devastating critique of the educations systems today. This is not difficult to do. What isn't solved is a viable proposal to replace it. Then there is the difficult power plays that would bring it about. It is going to be messy. Kids can't wait for tomorrow because they will grow up and grow old. For now we have to make the best of what available, which is what I have been trying to impress on my kids all these years. At the same time, to avoid damage I do not allow them to slave at the system to get the best academic scores. There will be collateral damage in the subterranean and depressing disillusionment later when they find a degree isn't as valuable as hoped. I foresaw all these long ago. I refused to appear for convocation and only did at the behest of my parents. I do not have a proper graduation photo from university. My mom had a blurry one on her dressing table. She was so proud of it. When my younger brother and sister also graduated, my photo with her didn't make way for theirs. Must be difficult for some to get to sleep when the refinery is flaring. Good thing we are much farther away. Behind the curtains, the highly proficient dyslexic still struggles with spelling even when she is already in secondary four. 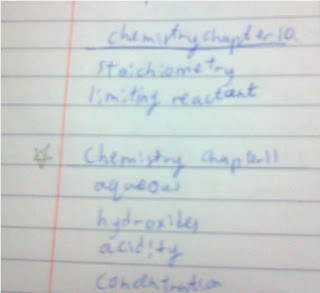 It had also affected her hand writing. It has improved but like spelling is way behind her cohort. 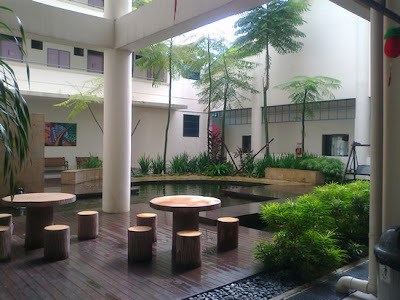 Was at SGH this evening to see my brother in law. He looked fine but I sensed that nothing is fine at all. I discovered that he was on wafarin. I know this med well. It is terrible to administer and if you ever need it, the reasons are almost always bad. Surgery is set for next Monday. We shall see if the tumor is malignant. I hope not. It is going to be difficult for his health to hold up. Just received an sms with country code 353, i.e., Ireland. I was immediately suspicious and quick investigation uncovered the following from Nokia. This also reminded me of someone calling me years ago to inform me that my son has been kidnapped. They or another party also called my dad but he told them to buzz off, telling them that he was also in the business! We have a $20 voucher for Haagan Daz whch is expiring end of the month. There is pressure to get rid of it. We have been keeping it for far too long. 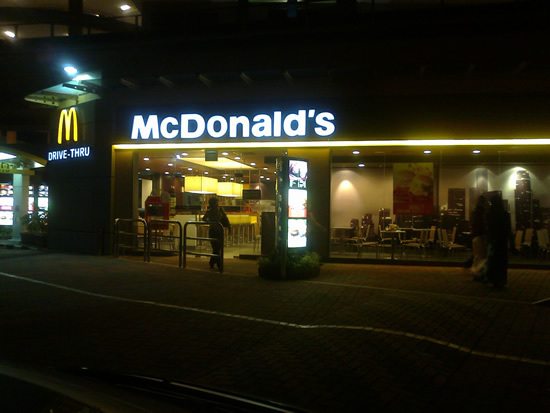 We used to patronize their outlets when we were living in Dubai but back in Singapore, we haven't stepped into one since we got back. I find their prices just way over the top. One scoop is $5.50, two scoops in a cup will set you back $9.50. The waiter recommended a pint and she was right, but we just want to used it up there and then. 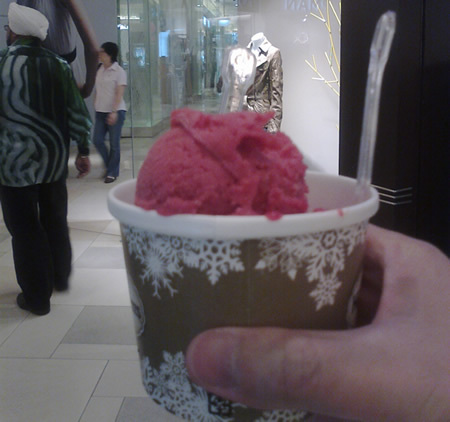 So we traded our voucher for two cups of two scoops each. The girl had two scoops of Belgian Choc and I opted for Raspberry like I always had in Dubai. I didn't enjoy this as much. Two scoops was too much. This must be the second or third time in the last few months I have been enjoying 29% discounts with no minimum purchase with Godaddy. Please keep it coming! Thank you. Only gold isn't cheap. Most other commodities are still cheap because they are a long way from their previous peaks. There is great wealth in water but few people know how to play it. Wifey was keen on this and so I ordered a small one for both of us. As usual, I have all the fish to myself since she doesn't eat anything raw except fruits and salads. I like it but those who knows me know I am not to the guy to ask about food. 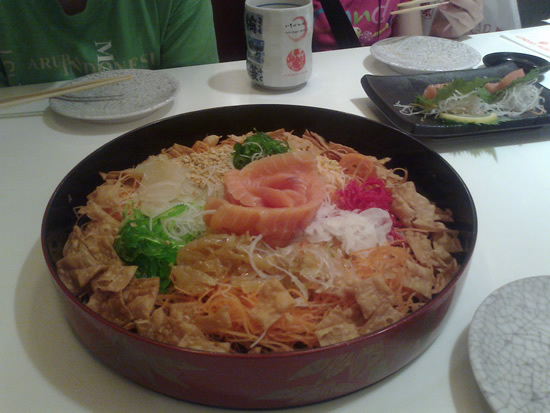 This is not saying the yusheng is bad. You just can't count on me to evaluate these things well. Food is food. Give thanks to God and eat it! "Small Giants: Companies that choose to be great instead of big"
Sure MM is right but why do we need to produce Fortune 500 size companies? The book above only draws from US examples, but there are lots of such companies all over the world especially in Germany. I have only began to scratch the surface of alternative approaches to our challenges. MM is a genius but he is not omniscient. He had some clever ways, but the world is changing and producing myriad possibilities. There are many other ways too. The PAP is stuck in one immovable paradigm. Time for new wine. My fear is that the hard truths of keeping Singapore going do not change because they are as unchangeable as human nature. Without the test of hardship and danger, the people naturally take for granted many hard facts of life here. I think the MM do not know how to reach out them successfully and his successors are doing an abysmal job at it.They are forever talking up and encouraging us that we can do it, and we have the resources. The facts of life, their unpleasant truths are rarely or more like never mentioned. The wrong guys buying "Hard Truths"
Where are all the young people? Why aren't they in the queue to buy the latest SPH published book, "Hard Truths"
A heavy hardcover book of more than four hundred pages, I seriously doubt the young are keen to read. It is an abysmal failure if they cannot do better than this. 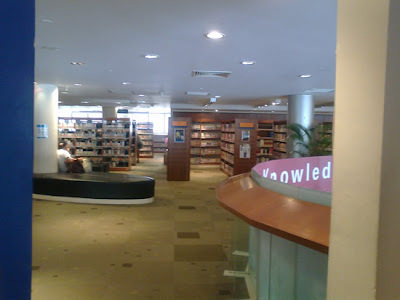 My first visit to Marine Parade library. No parking for the public in the building. Had to park the car at the MSCP some distance away. Even had to ask a passing student for walking directions. The library has a very interesting collection of science books I haven't seen in the other libraries. Hopes to bring the girls there sometime. It isn't too far away from their school anyway. UNUSUALLY large numbers of people are falling ill with sore throats, the common cold, fever and diarrhoea - numbers large enough to classify the infections as an epidemic. Last week, polyclinics saw more than 20,000 patients with such problems - an indication that the infections have passed the epidemic threshold and are now spreading rapidly in the community. The above shouted at me from my Notebook PC display. Half of the family was afflicted for a while. Good to know what caused it and recover from it. Never thought this way when I was much younger. These days, who knows what more serious underlying cause may be supporting symptoms isn't it? It pays to develop a greater sensitivity to what your body is trying to tell you. 25.5C. The windows except for the ventilator part above was closed. Very cool tempeatures! Very nice. Why buy when KS Li is selling? When KS Li is selling, why should you be buying? The Hong Kong conglomerate said Tuesday that it would list some of its busiest container port operations in Singapore, in what could be one of the biggest I.P.O. 's in Asia this year. "Bad Food" dinner at McDonalds tonight. First time we had it at Trade Hub. We were on our way home from Jurong East Central after fixing and getting a new pair of spectacles for wifey. Scarcely had they completed renovation of my neighbor upstairs, we have now be rudely intruded by another unit undergoing renovation. Fortunately this is on the sixth floor which is many floors below our apartment. I leave this here in order to track how often they fumigate the chutes. Always a nasty experience to remove the masking tape off the hopper and have some roaches surprise you. 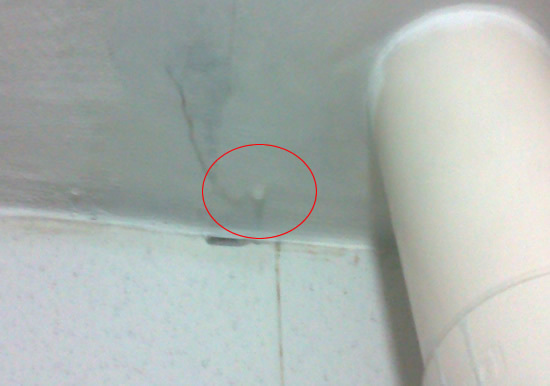 I have since alleviated this problem by spraying insecticide and only peeling off the tape after two days. Wonderfully cool this morning. 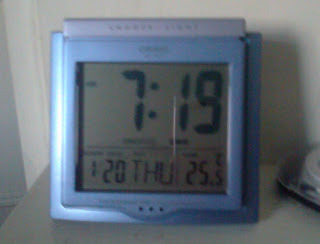 In fact we have been enjoying such temperatures for more than a week now. No thanks that most of the time I was spotting a fever but great for everyone else. 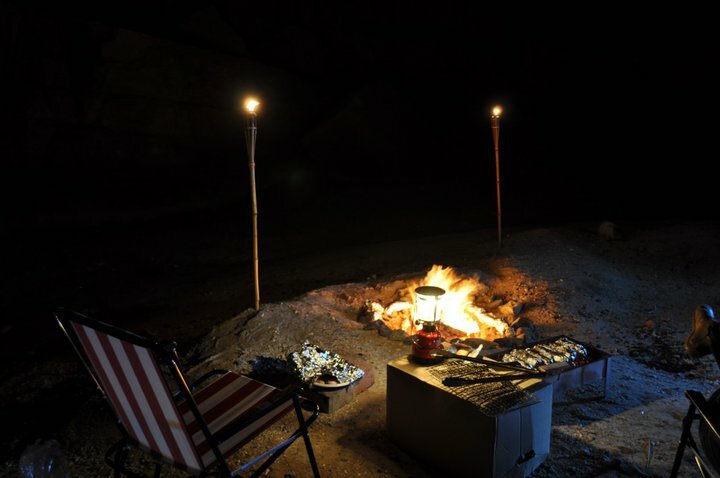 The sort of fun activities we didn't stayed long enough in Dubai to experience. We could only have time to take advantage of the winter to go on long drives to the various emirates. 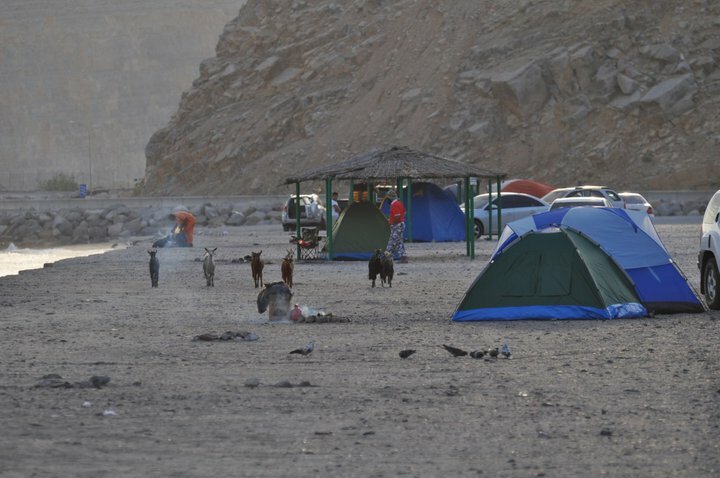 Our friend who used to lived in the same serviced apartment as us spent sometime with her care group at Khasab beach, Oman. There was one place I wanted to take the kids to in Oman to see the wild dolphins. We couldn't make that too. It was supposed to be delivered on the 18th but surprises by arriving a day early as I was about the leave the house. Good thing DHL came that couple of minutes early. Simply gift-wrapped with a gift card. This iPad is for the younger girl. I have been battling a come and go fever for most of last week. 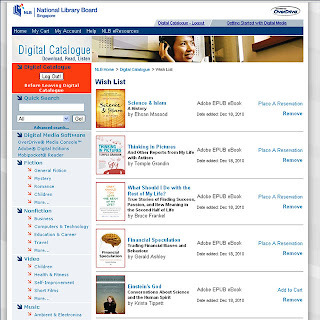 The library doesn't care if you are too busy to read the books you take out. Come the twenty third I have several books I haven't even open the covers that I need to return. 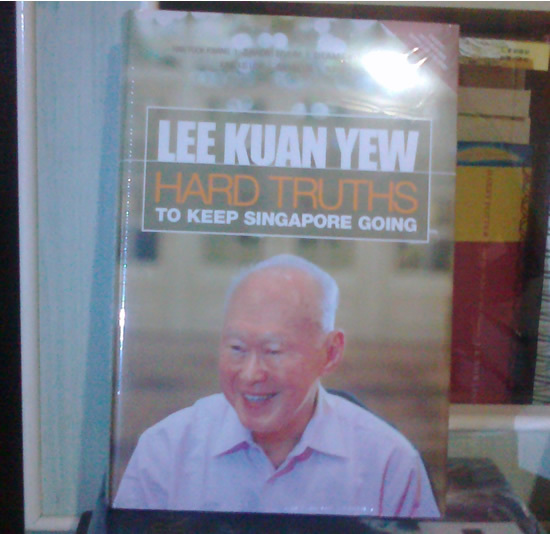 Among them, my lowest priority is, "Foot prints in the sands of time" by Dr. Tow Siang Hwa. The book is filled with Bible verses. You can't expect less from the Bible Presb right? But it is not academic and airy. Among its pages are incredible adventures of survival and triumph from trusting God in a way that is unfamiliar in our modern day context. I wouldn't be able to complete this book. The same fate for most of the books I checked out! But I think I will remember this one for a long time. A blog entry like this is a little hook I can use to remember enough details to retrieve it from the library again someday. 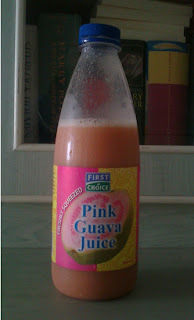 I stopped buying fruit juices during the months when our cash flow slowed to a trickle. 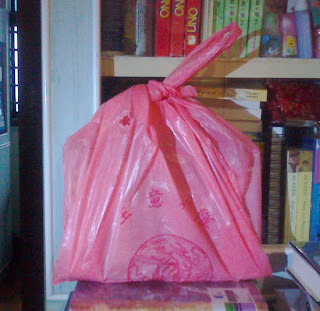 After the stream of cash returns, it took me a while before I went back to this habit. Even so, I avoided Orange and stick with better value Guava because it has a much longer expiry date and I also mix it with ice water 2 to1 or sometime equal parts. Giving up something like this has always been symbolic. It has no impact on the monthly budget. I am possibly more free than most people here because I can live without many "necessities" We would be poor or financially vulnerable if I do not set the example. Everyone in the family has more than me. From tomorrow onward, all of them will have iPads but not me. I have a Kindle instead. I hope DHL delivers it as early as possible. Don't relish the idea of waiting for a whole day for just this delivery. Yesterday, the younger girl did the unimaginable of committing almost $60 on a protective cover for her soon to be here iPad. I made her pay part of it herself. Today is CCA and MTP day. I was in the girls' school and took the opportunity to inspect the rented locker. Not a very easy to use door but if you have to use it often, you should become used to it. At $25/year it is affordable. The vendor doesn't seem very optimistic about business though. There are only forty lockers on this floor, and I imagine there are eight classes which typically have forty pupils per class. It has been a long week indeed. Five days of come and go fever, almost constant headaches and I don't remember ever popping so many Panadols in years. Every day I thought I had beaten it only for it to return. To add insult to injury now my elder girl has also caught the bug. An unrelated incident this morning also added to the unpleasantness. Wifey blacked out, fell and hit her head hard. She now has a big bump at the back of her head to shout about the incident. Went to the doc, and as expected I don't expect them to be able to suggest anything definitive. Our great physician most of the time is our God given bodies especially the mysterious immune system. The US president has written a children book for his daughters and all the young hearts in America before he assumed office. Jim Rogers now living here had also written a book for his children. All well and good and to be encouraged but as my thoughts drift toward the masses, the average family I become much more skeptical. Too many people see the future for their kids as more difficult than their own and also more uncertain. We are missing that hope and optimism. Instead of seeing possibilities, we see obstacles especially when we imagine how difficult it would be for our kids to reproduce what we already possess. Let's just begin with the roof over the head. 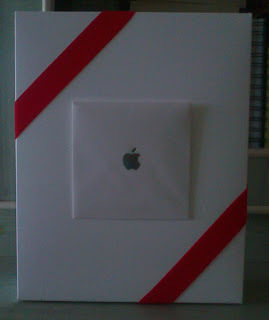 Another iPad for the younger girl to join the family. Apple offered a substantial discount for shopping online with them today and I seized the chance to buy it. Strictly there isn't a need to buy this device for her but I hope she will use it well as a tool to work hard and achieve excellence. Granted she failed to get into her first choice school, she will now have to recreate an infocomm environment on her own. I had done the same for myself during my university days. Had dinner at ikea tonight. The meat balls were bad: They were too salty. Had the dark choc cake. It was lousy too. Quality has gone down. 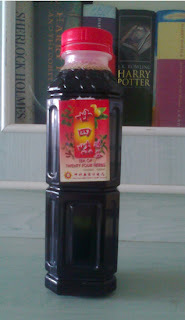 So I risked correctly that the "苦茶" my mom made us drink regularly when I was a kid. It is more accurately known as the "twenty four herbs" tea. After three to four days of fever I can sense the "heatiness". It is beginning to show on my lips and I know it is time to seek out this bitter tea. The shop that I used to get it has been sold to another for many years now. I do not know what to tell them. I checked out all the bottles on display and guessed this must be it. Glad I was right. I mean, when you put many herbs together it can only result in bitterness right? Some logic guiding me here. Good book explaining the major forces that have been driving financial markets since the end of Bretton Woods in 1971. Easy to understand. I feel it is a must for the non-pros. Pathetic service and web site. Slow, you almost thought the system hung. Yesterday tried to signed up a locker for her and disappointed that only one on level 3 was available. Paid for it with ei-nets and no locker was assigned. Called them on the phone and learned that it would be manually assigned and done in the evening. Why wasn't there a message at their website to advise so? 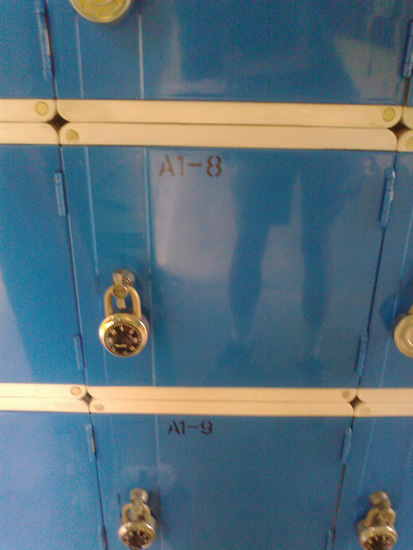 This morning, no locker has yet been assigned. Girl called me from school during recess and I broke to her the bad news. Just a few minutes ago, I decided to check for the second time and found no change in status. Chagrined, I called them on the phone and the person thought she had already assigned the locker! As usual I am patient until the service provider also act stupid and then I would tell them off. 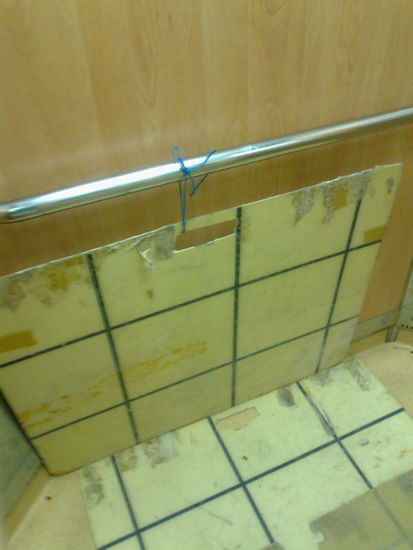 It was on the phone that I discovered there are still lockers on level one. I got that one for her. Level one is the most convenient. The heavy traffic each time I had to go to the girls' school in the late afternoon. Fortunately this is rare. 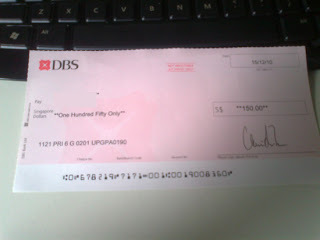 The younger girl collected her cheque for performing well in the PSLE from her primary school today. There were many uncollected cheques. I imagine the office have to make calls to so many people to come and pick theirs up. Too many rich people in this school. I have seen enough of them. Some carry themselves with a sense of entitlement. Truly ugly. I sympathize with the security officers that have to deal with such types. The fever refused to go away and so I down another panadol. Certainly hope that I can get a good night sleep tonight. It will definitely help to help me get better. Just popped one but not after discovering that we have so many boxes of them that are almost expiring. Isn't this good? "Ah Lin" eats healthy, enjoys this and wifey also wants to try it. 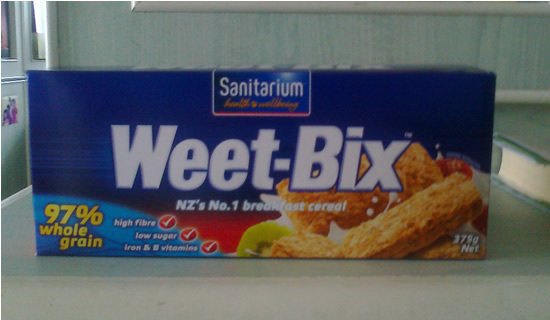 We bought a box for $3.90 from Queenstown Fairprice. 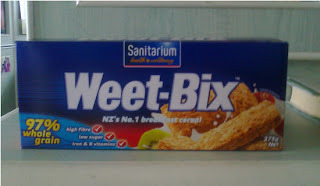 I am going to sample it too; perhaps for breakfast tomorrow. 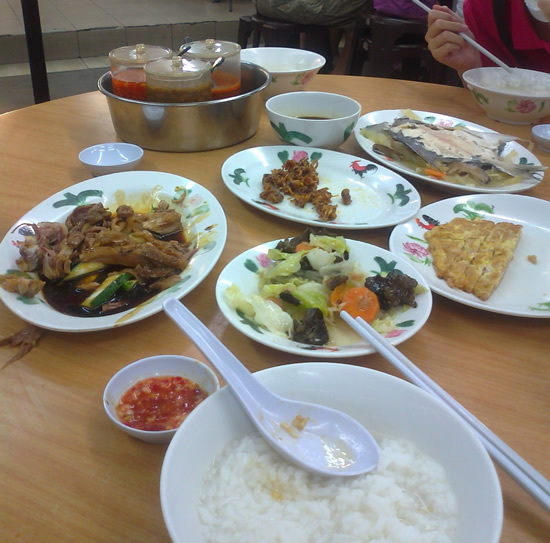 Was at Boat Quay during lunch time with the family. A little odd perhaps but wifey wanted to come here for lunch. Today is our weekly "bad food" day. We can't have it on a weekday as the girls finish too late. Until we are clearer about their routine, it is today for the entitlement for the coming week. I looked up and remember I used to work upstairs on the 40th floor. 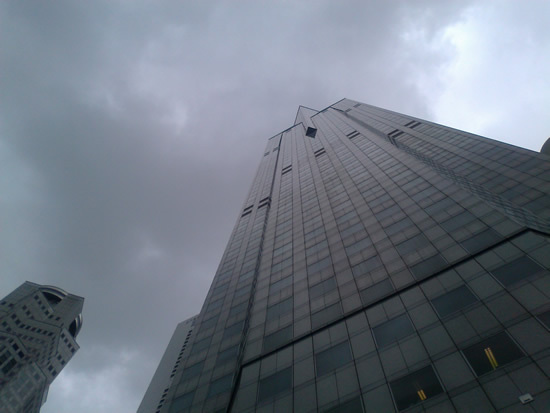 It was enjoyable to look out of the window and for keepsake, I use my Nokia X3 to look up and snap this picture. I wonder which company occupies that space now. Morgan Stanley had moved to Capital Square for many years already. 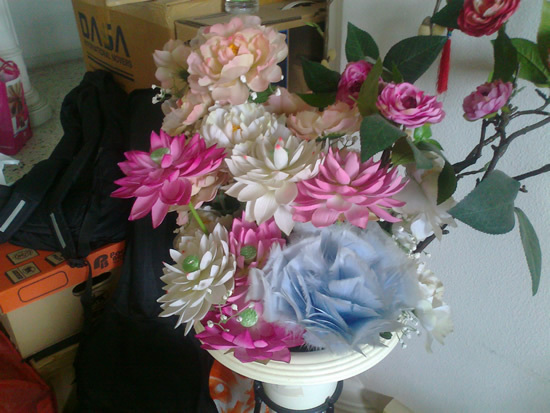 We are setting up the place for CNY, and I notice that the feather duster fitted quite well with the rest of the artificial peonies. In case you are still clueless, it is the blue one. This is one of those years, one of those moments where words like in this YouTube movie is a timely reminder. For those who moved on from primary to secondary school, I wonder if they are too immature to grasp this. Many who go on from secondary school to the JCs and Polys they will appreciate this better. However with Facebook and Twitter will it still matter? You never lose touch unless for some reasons you have become unfriendly with them. The parents of your kids' friends you get to know, you are also likely to lose touch when the kids go to different schools. It is happening already especially for those who have a limited online presence. For older people, there will be many occasions for such moments. I invited so many from my old church to be friends: Mostly ignored. We do this for Christ, in this sense it isn't personal but larger and deeper than that. The grace of the Lord is sufficient otherwise I wouldn't entertain such initiatives. 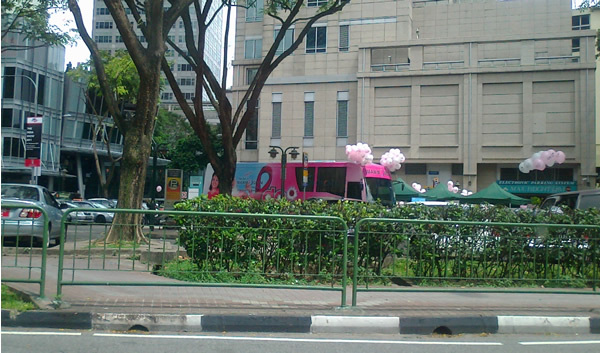 The mammo's bus from wifey's company from across Orchard Cineleisure. They were all there for the event. This is useful public service to the women here. We had lunch at Plaza Sing and then let her off here. 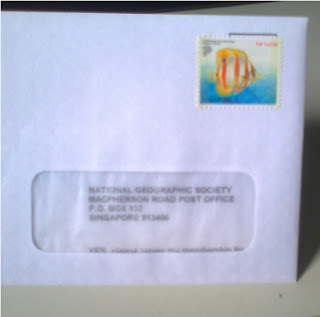 Just prepared the cheque to renew Natgeo for two years at $136. Our current subscription expires in April this year. The girls' school now requires them to subscribe as part of their EL lessons. Just wondering why Natgeo cannot pay for the postage. 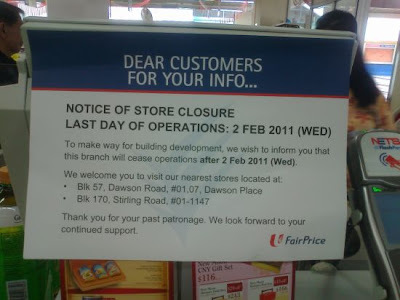 Also I wonder how long their shop at Vivocity can last. It doesn't look like they are doing a good business there. Most visitors are just browsers. The Chinese has never failed to awe. I have always been suspicious of the advice I had been getting about starting and growing a small business. In fact, I have developed a veiled hostility to the pervasive ideas on growing quickly, getting rich in a hurry...versions of the dot com mania. So I was most pleasantly surprised to have discovered this book which already in the first chapter resonates with how I feel about this matter. 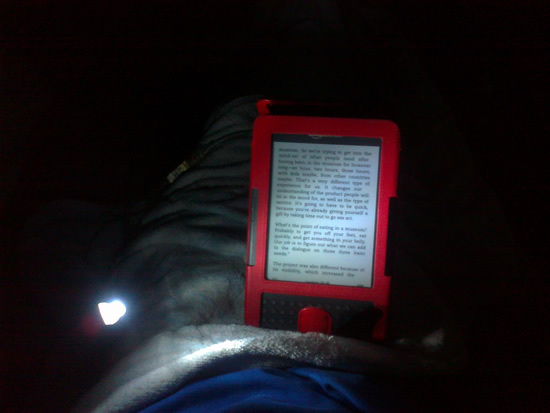 Finally I discovered a practical position to place the USB LED reading light. For many nights I had tried to placed it between the wall and the head board. All the experiments were unsatisfactory, leading me to buy the light panel (worse). 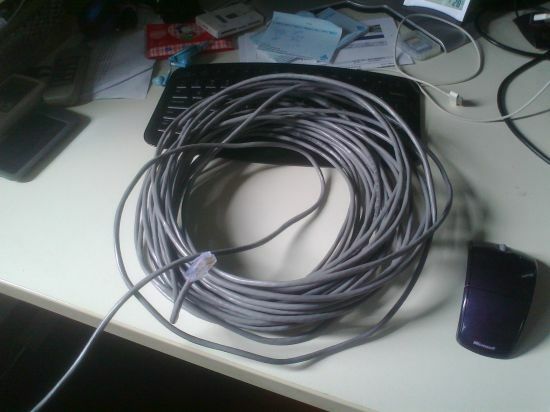 Early this morning, I decided to route the USB cable across my lap and surprise, it worked! I am very keen to pick up this book by John Piper but I know I am not prepared to make the time to read it yet. It is not so simple as I feel a little tug of war going inside. Who knows, in the next few days I might drop what I am doing for this book. This is the amount of space 188 books occupy on my Kindle 3. You can understand why Amazon discontinue providing a slot for expansion memory cards. Here is a phone video of the noise (some call music) of the wake I was blogging about earlier. Damned noisy funeral. Most wakes are not this one. They make so noise in the day too. I hope they are preparing to go to the columbarium today. Prior to this one, there was another noisy wake too, which was held at the next block. It was a curious situation. Lots of high end German marques were parked along the road every night. I was jesting that it might be some loan shark kingpin who had passed away. Back to this noisy one, I think this is a big bucks set up. They even hung obituary blankets on the fence of the MOE headquarters. Unfortunately the entrance to my MSCP also were ungraced with a gigantic blanket. Never seen anybody went to such extreme ever. We had dinner late last night. Went to the Teochew Porridge stall along Upper Bt. Timah road across from Bt Timah Shopping Centre. Finally, I decided to park at the shopping centre across the road costing me $2.15 per entry. Never mind the car was parked there for slightly over half an hour. I don't think we would be returning any time soon. 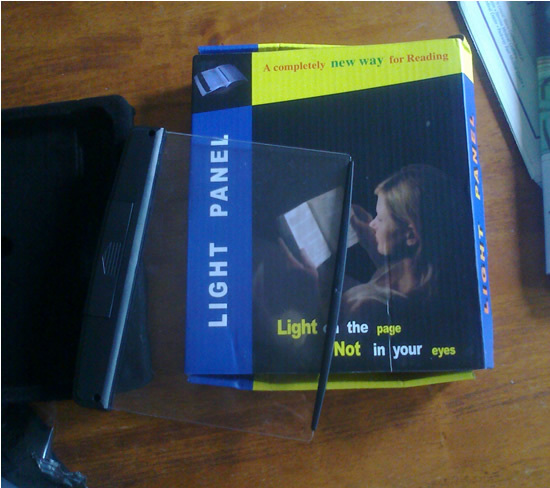 The reading light I ordered via eBay a couple of days ago arrived via SingPost today. This is my $6.90 experiment. The the photos report the results in visually: Failed. So far so good out of its box. It runs on 3 AAA batteries and purportedly good for 50 hours using alkaline cells. And kicking the tires time! 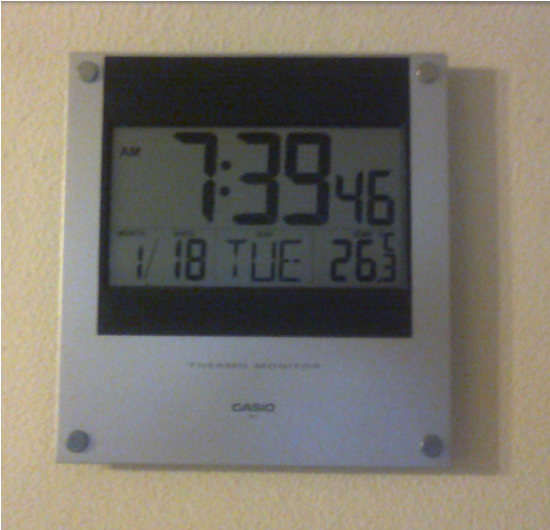 You can see the panel is easily scratched. I wonder if it is made of soft eraser plastic :-( It had deteriorated so quickly as I tried to fix the end guard (see the piece of the right) to the device. It was ill fitting and so not easy to get it on. Only simple man handling and this is the result. The light shoots across the panel and indirectly lights up the paper or Kindle surface. The result is unsatisfactory. 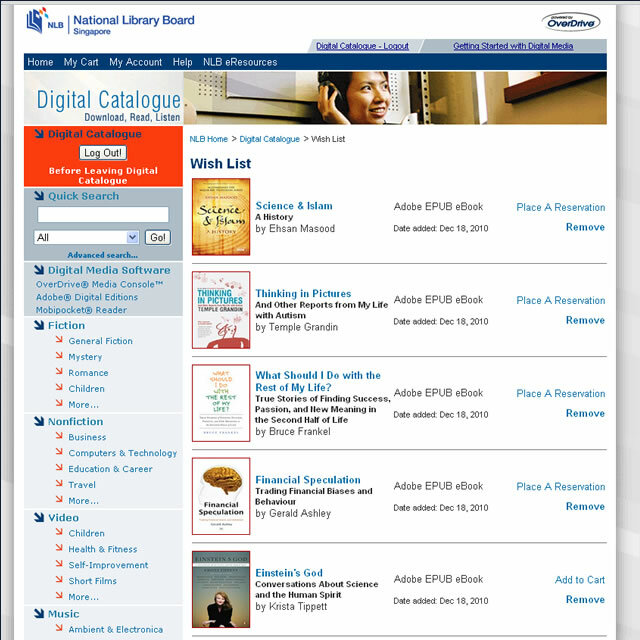 Produced a useless and unhelpful glare with little light illuminating what I am interested in: the page I want to read. $6.90 is cheap but when it fails, it feels expensive. Better to solve this problem the old fashion way. 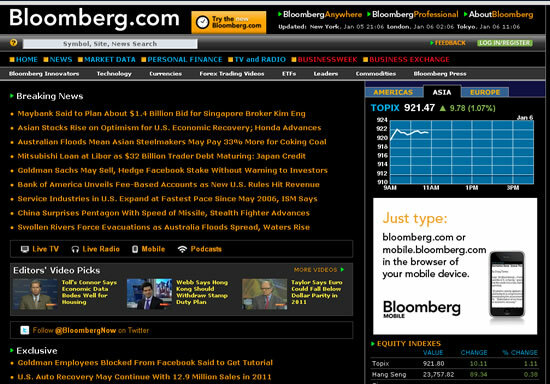 I thought Bloomberg had removed Noir. Very pleasantly surprised when I gave it a shot and it succeed. Of course, one will not know how long it would continue to be available. If many users support this, I think it would have a longer life. Perhaps by then there is something better. Learning from "Made to Stick"
What to take away from the Heath brothers book, "Made to Stick"? The theory is easy, the practice is far harder. The elements must not stand out equally. They must blend synergistically. It is easy to say the human body is made of the following chemical elements but it provides no understanding of how it is wonderfully brought together, not to mention the spirit that indwells the body as a result. Now I have an incredibly hard task of building a system for NaviMap communication around these elements. It is very creative work. The authors emphasis had been on identifying ideas with the potential to stick. They are must less hopeful about ideas creation. From experience they know how hard that is. We have been doing this for years especially when the girls are not fond of birthday cakes. 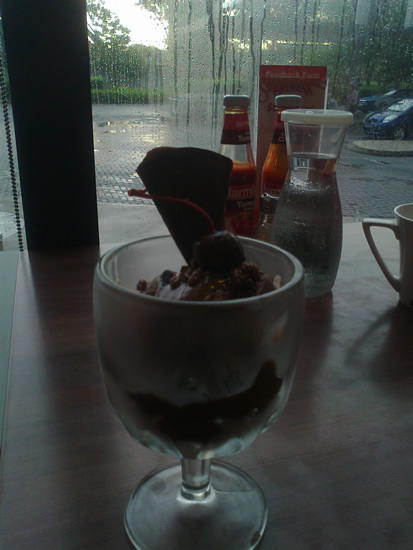 An ice cream sundae; one each at Swensens' IMM. Wrote my first sms in CL today! No big deal to most people here actually but it is to me. I was responding to the girls' CL tutor. She messaged to tell me when she can make it back to Singapore so that we can resume lessons. I hope her mom is well. Got this message from YouTube after I uploaded "Pascal's Prayer" moments ago. Not bad! Wow, why so many stories to blog about today? Just entertained the contractors of my new neighbors upstairs. The wanted to inspect the bathroom in the master bedroom because they needed to learn how to do it right for their client upstairs! I mean something as basic as this, they do not know. Our apartments are commodities. I wasn't very patient with them. It is my way of helping and also wanting them to get it over and done with quickly. Their mistake: They should have shown more empathy of the dreadful noise they caused when the hacking work was going on. 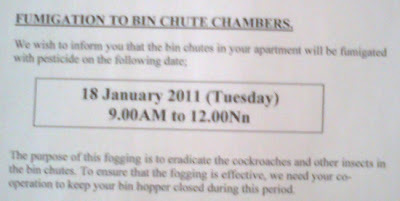 In my years living here, I have received many letters from the contractors of new neighbors. 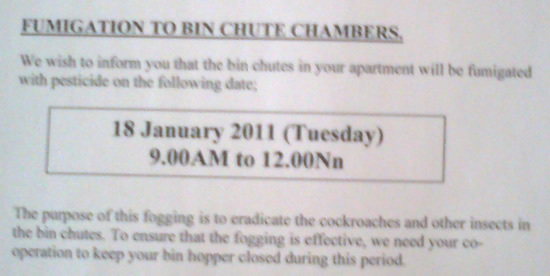 Some were so well worded, but this contractor's one is just like a notice from the town council. They need to do better. Do I feel like over night everyone has discovered the treasure trove of books at our NLB e-library! So many of the books on my watch list are now tagged with "Place a reservation"
Really feels like I am witnessing a Gladwell's Tipping Point in progress. First school day coming up. My X3 is now cheaper. Last time at "The Lines"